For many years now Philadelphia has played host to America's football game. 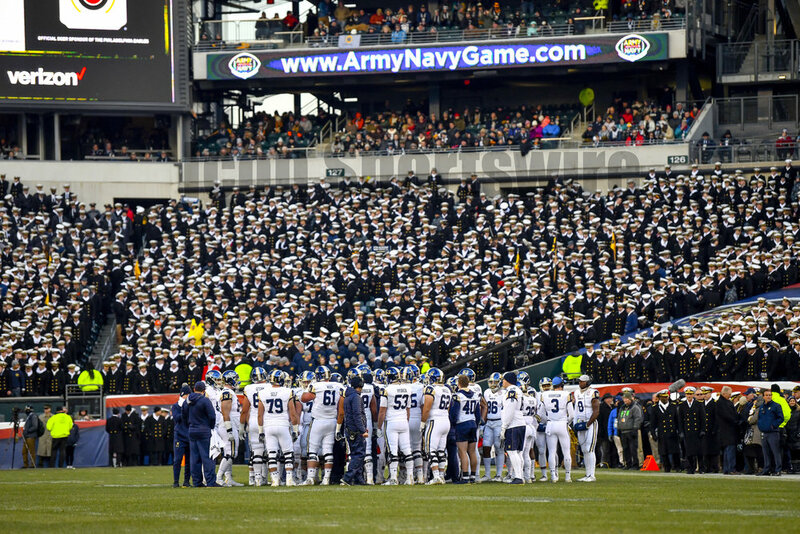 Lincoln Financial Field is conveniently located roughly halfway between the United States Military Academy in West Point New York and the United States Naval Academy in Annapolis Maryland. Last Saturday marked the 119th occurance of this long time rivalry, and the spirit and enthusiasm lived up to the tradition. Hours before the kickoff two spearheads of America's armed forces marched onto the field individually displaying a panoply of sites for the adoring fans. 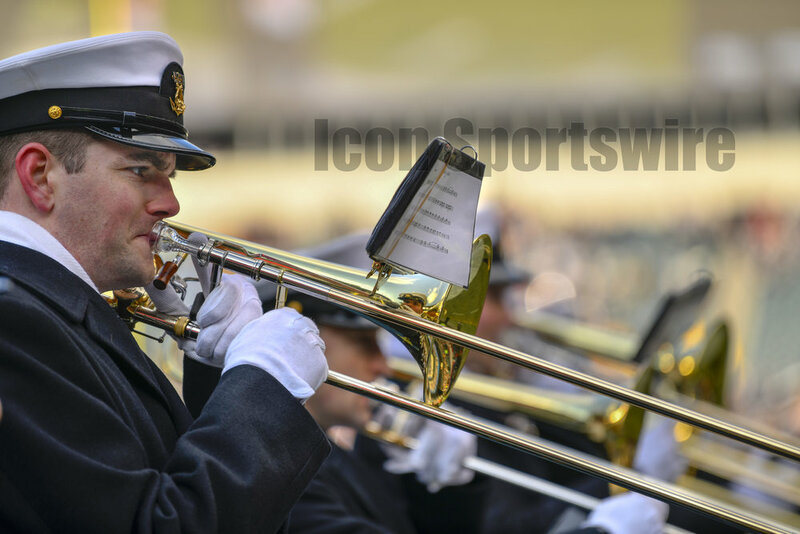 First the Midshipmen took to the field dressed in their shining white hats and black coates while the polished gold trim reflected the bright sunlight that streamed into the arena. After paying respect to both sections in the stands they retired to their assigned seats. Soon after, the Army Cadets took to the field. 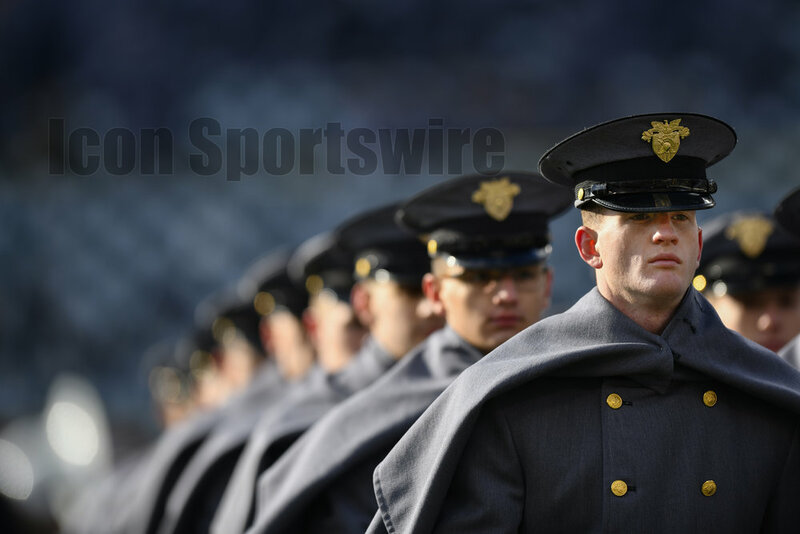 While the United States Military Academy West Point Band played, rows and rows of cadets blanketed the gridiron. Their grey dress uniforms were a stark contrast to the earlier display but the gleam from golden buttons and badges would cut through the uniformity of color with flashes of dazzling brilliance. The cadets also paid their respects to the onlookers and orderly took their seats eclipsing another quarter of the stands opposite their Navy equivalents. As the afternoon sped on, the tension of the annual rivalry heightened. 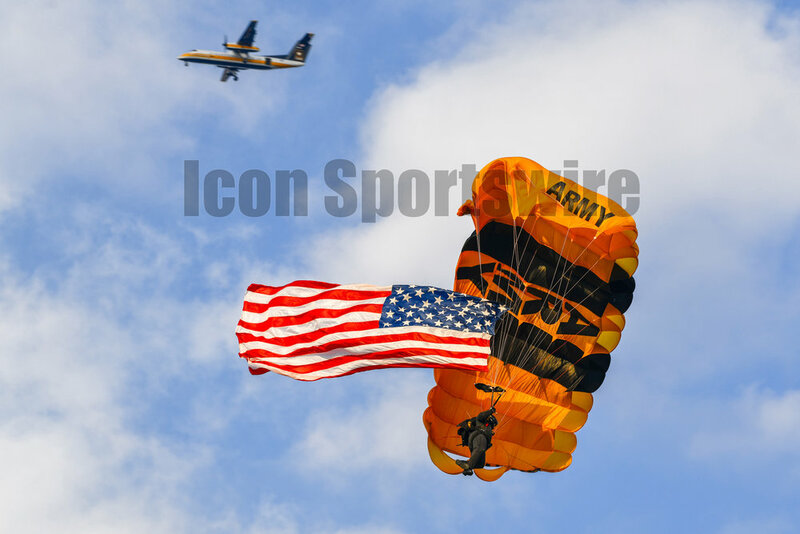 Opening ceremonies delighted the crowd with cannon fire, two flyovers from four helicopters and four fighter jets, the "prisoner exchange" and the pregame coin toss by President Trump. After all this there was still an epic game to be fought, and in the end Army would stand victorious over Navy 17-10. All images are copyrighted by Icon Sportswire and Gavin Baker press F11 to view the pictures full screen. What a delight to see all the festive colours dazzling in spherical exposition. Hanging from trees, wreaths, banisters, hats, or tails, Christmas ball bring laughter to the season. Imaging a cat playing with the balls hanging low beneath the tree or chasing one as it rolls along the ground. Reflected sights of smiling friends and family shine off the glossy finishes or soft hues bounce from the matte finishes of other Christmas balls. For Winning Wednesday I thought spending a few minutes reflecting on the new NASCAR champion was in order. Coming to the sport from Connecticut he’s definitely not another southern boy looking to go fast in a stock car. Logano's a bit more rounded than that. He's taken some crap from other drivers along his rise to the top and he's doled it right back when the situation warranted it. He races hard and he works hard for his victories. Among his accolaids are a Daytona 500 win, 2009 Rookie of the Year, youngest Xfinity race winner and the youngest Sprint Cup race winner. With a history like that it was really a question of WHEN he would be the champion and never really IF he would rise to the top of the podium. Congrats to the 2018 Monster Energy NASCAR Cup Series Champion. Here are a few of my favorite pictures of Joey from the last year.